The fit of your clothes will depend upon the cut, fabric and styling of each garment. Garments may vary in size dependent on the amount of ease allowed over the body, which will also vary according to fabric. We have provided with each garment the type of fit you can expect (eg slim, modern, easy, comfort, relaxed). By following the tips below for measuring, you will be able to convert to the right size you should buy; each garment has its own unique size guide for your reference. Measure across the fullest part of your bust and across the shoulder blades. Measure around your natural waistline, keeping the tape measure tight. 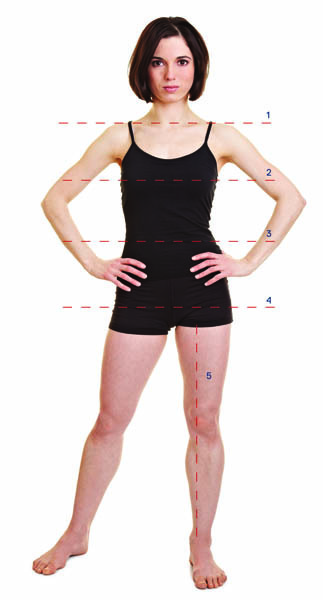 Measure from the top of the inside leg (at the crotch) to your ankle bone. Please note; trousers and skirts are not tailor-made therefore lengths will not be specific to your height. As a rule, you should buy slightly longer so that trousers can be taken up to your required height. To further help you in selecting the right size, click here for a size converter.